The Scout Section is normally referred to as the Troop section. 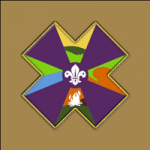 It is the hearth of scouting and a lot of fun is experienced during this period. The Troop Section is between 11 and 14.5 years of age. The aim of this Section is to provide fun, and challenging activities. Amongst of which being expeditions, cycling, canoeing, rafting and open fires. The group is split into patrols which are normally named after animals for example Lions, Tigers, Bulldogs etc. Once a month the patrol leaders meet and discuss the matters within the troop under the chairmanship of the Senior Patrol Leader. The Scout Section is targeted for youths, aged between 10½ and 15½ years. 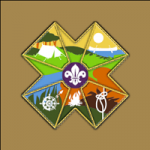 The Troop section is a follow up from the Cubs Section within the group however interested youth can enter this section even though not previously being in the Cubs section if their age lies between the previously mentioned age range. Scouts are encouraged to take part in a wide range of activities as part of their programme. 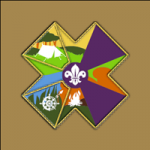 “Participation” rather than meeting set standards, is the key approach and for a Scout who wants to be recognised for his or her achievements there are a number of challenging Awards and Activity Badges. Scouts take part in a balanced programme that helps them to find out about the world in which live, encourage them to know their own abilities and the importance of keeping fit as well as helping them to develop their creative talents. It also provides opportunities to explore their own values and character. Outdoor activities are essential for personal development and thus the troop programme ensures that members master traditional scouting skills, such as camping, first aid, pioneering and cooking, as well as a wide range of adventurous activities which range from anything like abseiling to canoeing. 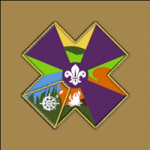 The international aspect gives scouting a special appeal and many scouts have the opportunity to travel abroad during their stay in this section. A number of members from our group had the opportunity to attend various Jamborees around the world which they describe as being a unique and unforgettable experience. Scouting is about being with friends, making new friends, working as part of a team, participating fully in the various adventurous activities and grasping every opportunity to make the most of life. 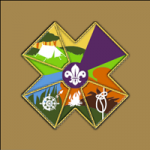 The troop section meets every Friday at 18:00hrs at the Group’s Head Quarters for a one and a half hour meeting, during which around 50 – 60 scouts have the opportunity to listen to interesting lectures, learn new skills, practice what they learnt and play various scout games. The weekly meetings are organised by the leaders of this section who give their at most to make these meeting appealing to the members. Every Wednesday between 18:30hrs and 19:00hrs the leaders assist individual numbers in the progression scheme and badge work. – A Scout learns what the principles of Scouting are – understands the law and the promise – and prepares for the exciting Journey of Discovery that lies ahead. The concept of learning how the system works and how to get help is important. – The journey starts with the realization that one needs to start following the tracks and signs left behind by others. One learns to recognise the way things work and why certain practices exist in scouting and in the world around us. The core scouting skills are learnt at this stage. The concept of sense and responsibility are instilled. – The sense of observation picked up in the previous stage permits one to pursue his curiosity to make discoveries about the world around him. The Scout learns new skills, starts to understand the concept of a community and further develops the crafts and skills that are needed. The concept of Teamwork is strong. – The Pioneer stage reflects the Scout that has already completed half of the Journey undertaken and has now firmly understood the path ahead. Core Scouting Skills are re-enforced with challenging projects and an emphasis is made on personal development. The Element of Leadership starts to play a more major role. – At the Adventurer stage, Scouts realize that they have reached the final stage of their Journey and they look back on what they have learnt, discovered and enjoyed. The element of Leadership has matured into the concept of training ones successors and leaving ones mark on his Patrol and his Troop. Challenging Adventures lie ahead – and in this stage, close contact with Leaders regarding their future – both in Scouting and in the outside world – is important. This last stage of the Journey ends with a plan on how ones scouting career will progress through the sections and possibly towards leadership.